A complete package: bath, kessa massage and relaxing massage with the use of lather in the style of an original Hammam. 1.5 hours enjoying hot, warm and cold baths. 15 minutes ketta and red grapes soap massage (included in the 1.5 hours bath session). You will first enter to the changing room, carefully decorated with Arabic signs and aromas, where you will leave your clothes in a safe locker. After that, you can lie on a hot stone or swimm in one of several warm pools, until the staff will ask you to join them to the massage area. At the massage room, you will combine kessa traditional massage and relaxation massage in a 30 minutes session, included in the 1.5 hours bath time. You can choose your favourite essence at the Aroma Corner to use in your massage. In the traditional massage, while you are lying on a hot stone table, the masseur lathers your body, scrubbing it with the traditional Arabic cotton glove (glove Kessa) soap and red grape, to remove dead skin cells and stimulate blood circulation. The Nazarí Ritual adds to this with a relaxing massage with essential oils, relaxing and moisturising for your skin. Is a traditional bath and hot stones spa, where you can renew your skin with a purifying massage based on the Andalusian technique. 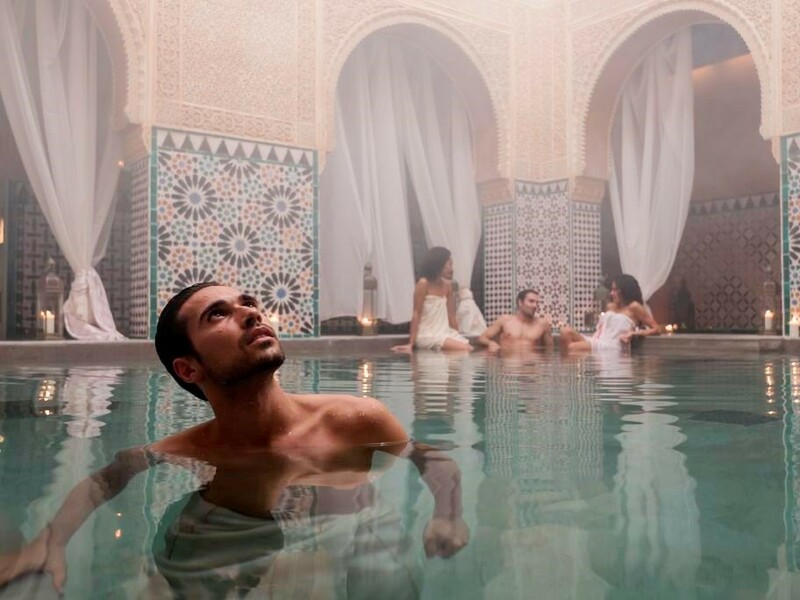 Hammams are tipically hot stones, very popular in Morocco and other Arabic countries, where people go to relax their muscles and use hot baths to purify them selfs. Here in Malaga, you can enjoy the same pleasures, with a smooth, quiet and relaxing atmosphere. This chain reopened the first Arab baths in Europe following their closure in the sixteenth century. Bath suit, you can bring your own or can buy one for 12�?�. Children aged 5 or younger are not permitted and parents or guardians of children aged between 5 and 17 must sign a disclaimer form.